Göran R Buckhorn, a Swede living in Mystic, Connecticut, is a magazine editor who began rowing in the 1970s at Malmö Roddklubb in Malmö, Sweden; but truth be told, he never excelled at the oar, though he has continued to look backwards ever since. For some years in the 1990s, Göran was the president of the club. The same decade he co-founded a rowing club at his old university, Lunds Universitets Roddklubb. In March 1979, Göran saw his first published article in a newspaper, a piece about The Boat Race. In 1990, he co-founded the Swedish rowing magazine Svensk Rodd and co-edited it for ten years. Since moving to America in 2000, he wrote for the magazine until it ceased to exist in 2014. Throughout the years, he has written numerous articles on rowing for books and magazines, and for a short stint he had a rowing history column in British Rowing’s Rowing & Regatta. 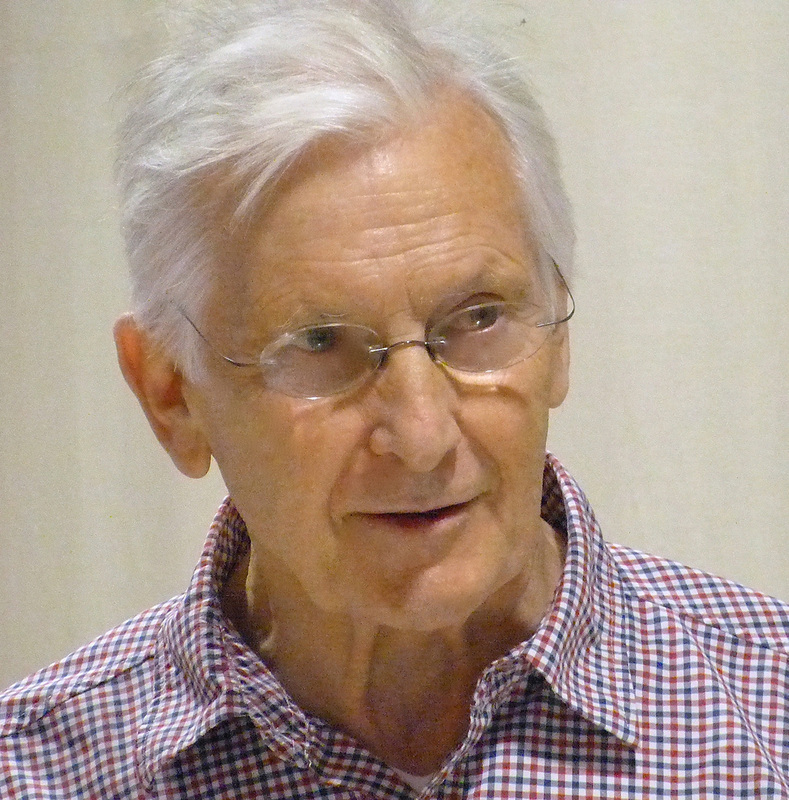 In 2000, he published a book with six essays on rowing in Swedish. In June 2015, Göran published a book about Benjamin Hunting Howell, an American who rowed at Cambridge and for Thames RC between 1894 and 1900, A Yank at Cambridge – B.H. Howell: The Forgotten Champion. Göran spends a lot of time ‘on rowing’; luckily, his family is very understanding. He collects rowing books and has a general interest in history. Among other things, he is a director of the Friends of Rowing History and a member of the British Association of Rowing Journalists, BARJ. 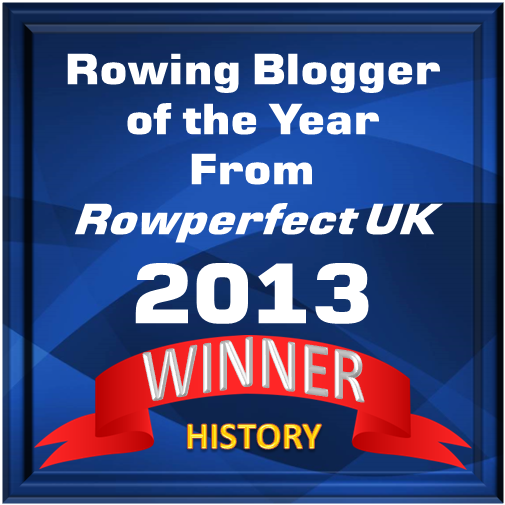 In March 2009, he founded the rowing history website ‘Hear The Boat Sing’ (HTBS) and he is the keeper of the site’s Twitter and Instagram accounts. Greg Denieffe is a number cruncher by trade and an amateur rowing historian by choice. Greg’s earliest rowing memories go back to the mid-1960s when he, as a young child growing up in Carlow, Ireland, was surrounded by rowing trophies of all shapes and sizes. To tell the truth, the weekly cleaning of them made sure he would either love or loath rowing history and memorabilia. Regular readers of HTBS know that Greg is a collector of rowing books and anything to do with Irish rowing, a subject that he has written about several times, being the editor of Carlow Rowing Club’s 125th Anniversary Souvenir Booklet and penning articles for local newspapers, the old Rowing magazine and the historical journal Carloviana. Greg has lived and worked in England since 1986 and claims to have missed only two Henley Royal Regattas since then, once because his back gave up on him minutes before leaving for finals-day and another due to the imminent arrival of his daughter in 2009. A member of the HRR Stewards Enclosure, he has rowed for and been the Treasurer of both Carlow and Milton Keynes Rowing Clubs. Married with two young children, he also has a keen interest in history, regularly watches hurling and rugby matches and has been known to expound at great length on the virtues of Bob Dylan. Christopher ‘Chris’ Dodd has written about rowing in newspapers, magazines and books for more than 40 years. After beginning as a schoolboy cox in Bristol, he progressed to the stroke seat of his school’s second eight, a crew that satisfyingly beat the first eight in the last race of the season. He stopped rowing at Nottingham University to edit the student newspaper, which led to a career on The Guardian in 1965. As a Guardian staffer, his main job was layout, design and section editing in the features department, but he also worked in the sport and city departments. He began writing about rowing at weekends in 1970. In 1994, he turned freelance when his mad scheme to set up the River & Rowing Museum in Henley-on-Thames attracted a sponsor. He was responsible for creating the rowing collection and library and curating special exhibitions. The museum opened its doors in 1998. It has won awards for its content, education programmes and architecture (by Sir David Chipperfield). 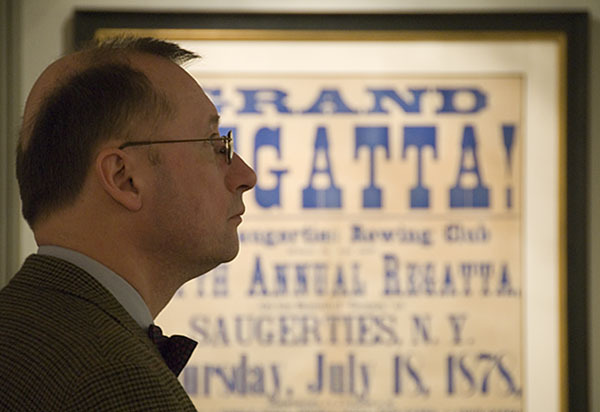 Chris is a board member of the Friends of Rowing History and has contributed to history symposia at the River & Rowing Museum and Mystic Seaport. From 1994 he continued as rowing correspondent at The Guardian until moving to the Independent in 2004, where he stayed until the said title, to its shame, lost interest in rowing. Chris was the founding editor of Britain’s Regatta magazine and FISA’s World Rowing magazine. He edited Regatta from 1987 to 2002 and sat on FISA’s media commission between 1990 and 2002. With Rachel Quarrell, he founded RowingVoice, an occasional independent electronic magazine that entered the airwaves after the success of the Eton Mess daily at the World Championships in 2006. The Voice covers big events and publishes blogs from time to time. He contributes articles to British Rowing’s Rowing & Regatta magazine. Chris’s blazerati activities include press chief at the World Championships in Nottingham in 1986 and Indianapolis in 1994, and editor of the Olympic News Service from Lake Lanier at the 1996 Olympic Games in Atlanta. He was also media chief at the 2002 Commonwealth and World Student Games regattas in Nottingham. He is chairman of BARJ (formerly the British Association of Rowing Journalists), which is currently in trust while it ponders its future direction as the voice of the international rowing media. Grandly described by ‘Hear The Boat Sing’ as ‘UK special correspondent’, Tim Koch wrote his first piece for HTBS in December 2009. It was intended as a ‘one off’ but now, two hundred posts later (beginning of May), he thinks that he will have to call himself ‘a regular contributor’. Tim has always had a fascination with ‘the past’ and when he started rowing in 1985, a study of the sport’s wonderful heritage soon followed. Later he took on the self-invented and self-appointed role of ‘historian and archivist’ for the Auriol Kensington Rowing Club. Ten years of enthusiastic but not particularly triumphant rowing was followed by a slightly more successful career as a cox and an administrator. The ‘third age’ of Tim’s involvement in rowing has come with the access that association with HTBS has brought. To his surprise he has found himself mixing with the ‘great and the good’ of rowing and has been given accreditation to such events as the Oxford – Cambridge Boat Race, Henley Royal Regatta, the Wingfield Sculls and the Doggett’s Coat and Badge. Besides contributing articles for HTBS, Tim has written for Rowing & Regatta magazine and was asked to produce an historical piece for the 2014 Varsity Boat Race programme. He is the author of a booklet on W.D. Kinnear, the 1912 Olympic Sculling Champion, and has made videos involving Henley, the Wingfield Sculls and the 1877 Boat Race. Latterly, he has become a director of the Friends of Rowing History and a member of the British Association of Rowing Journalists, BARJ. HTBS’s own rowing poet was born Philip Watson Kuepper in 1948 in Burlington, Iowa. He holds a B.A. in English, and his extra-curricular academic interests include a summer writing course at Harvard University and two weeks at Breadloaf Writer’s Conference. 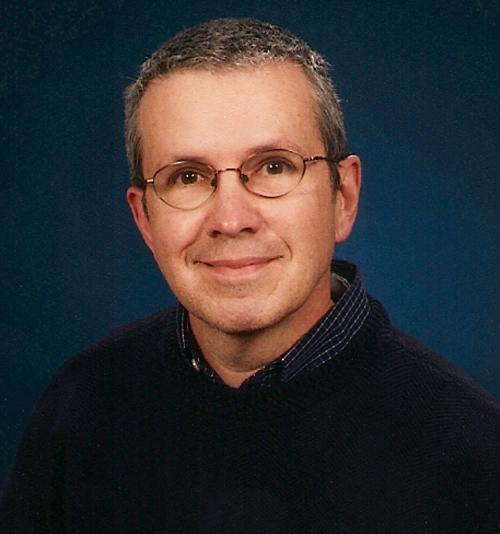 Philip first published poems appeared in 1975 in Poetry Magazin, The Washingtonian Monthly and RFD Magazine. Since then he has had works published in The New York Times, Promise and the Mystic River Press. In December 2015, HTBS published a collection of Philip’s rowing poems, A Sea To Row By. He is a professional photographer and his work has sold at the Emporium in Mystic. He has had the good fortune of residing in various places in the USA: Boston, San Francisco, New York and Connecticut. His hobby is to travel and he has been able to travel widely in Europe. 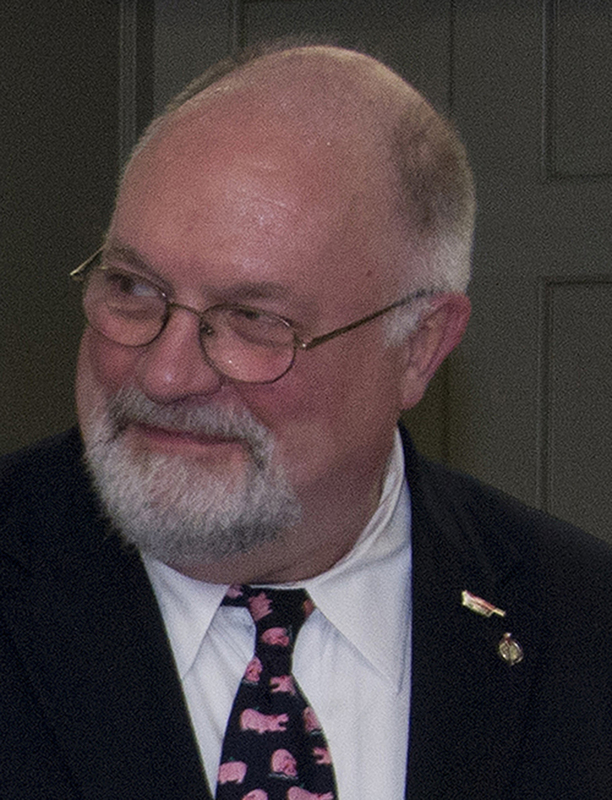 At present, Philip resides in Mystic, Connecticut, with his partner of 43 years, Michael Meyer. By his own confession, William O’Chee is an Australian-based rowing historian who is not terribly clever. Most of his research centres around Oxford, 10,000 miles from his hometown of Brisbane. He learned to cox, scull and row (in that order) at Brasenose College, Oxford, before going on to cox the Oxford Lightweight Blue Boat in 1987. He is now the official historian of the Brasenose College Boat Club. He describes his 200th anniversary history of the club, entitled The Pinnacle of Fame, as one of the world’s slowest works-in-progress, being almost four years in the making so far. After returning to Australia, William became Australia’s youngest federal senator at the age of 24, and served over nine years in the Australian Parliament. During that time he still managed to found a rowing club in Cairns, and even coach the 1st VIII of the Canberra Girls Grammar School, as well as putting together a cross-party parliamentary quad scull to row on Lake Burley Griffin. William’s other sporting passion is skeleton, and he spent 13 years representing Australia in World Cup and World Championship events, and achieving two tour wins. His time in the Australian Senate was followed by a stint serving in the Australian Army. Nowadays he divides his time between working to assist other veterans, most notably through the Returned & Services League of Australia, and running a management consulting business. In spite of all of the above, he still gets out on the water for some early morning sculling on a semi-regular basis, something he considers ‘a delight beyond compare’. He is a member of Leander, Nephthys Boat Club, a Life member of Griffith University Surfers Paradise Rowing and founder of Cairns Rowing Club. Louis Petrin lives in Sydney, Australia. This means when it’s winter, with no rowing regattas in Europe or USA, he can send news of interesting rowing events from Down Under. It was Louis’s daughter (21 years), who has been rowing for the past seven years, who introduced him to the joys of rowing. He is an active member of Drummoyne Rowing Club, participates in Masters regattas (Eights and Fours) and is a qualified Boat Racing Official. Having a library degree and being a book collector, as well as owning his own business, Louis spends time delving in the history of rowing, which he finds fascinating and that is why he began reading HTBS! His special interests are professional scullers and he just loves trophies, cups and medals. Along with some other local rowers, Louis is preparing to help Australian rowing clubs and enthusiasts to document and preserve historical documents and items. He also spends time on the National Library of Australia’s Trove website to edit OCR text of digitised newspaper articles on rowing. Louis is looking forward to providing HTBS readers with some interesting articles from Down Under. French HTBS writer Hélène Rémond moved from Brittany to Poitou in September 2012 and now lives in Poitiers (internationally known for its theme park Futuroscope). She is editorial manager at The National Centre for Distance Education. 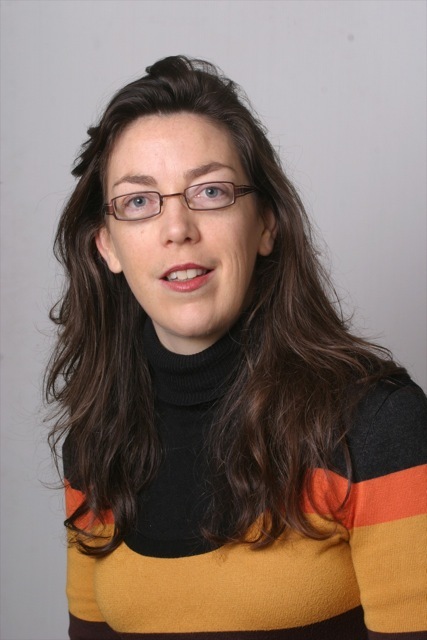 Hélène took part in the creation of the REC aviron rowing club in Rennes in 1999 before she wrote her thesis on British rowing. She has covered The Boat Race and the Henley Royal Regatta for HTBS and for French newspapers, among them Ouest-France, the leading French daily newspaper boasting a circulation of more than 783,000 copies. She loves all kinds of art – particularly photography – and is interested in the representations of sport in art. A member of Les Amis de l’image photo club, she shares her best rowing pictures on HTBS. She is fond of numerous rock bands and could soon be a lindy hop expert. Thomas E. Weil was born in Kabul, Afghanistan, and rowed at Andover and Yale, where he was in their 1970 HRR Thames Cup boat. His home in Woodbridge, Connecticut, serves as a warehouse for those rowing books, art, artifacts and archival materials not already donated to the River and Rowing Museum, the National Rowing Foundation, Mystic Seaport or the Yale Center for British Art. His collecting, research, writing and lecturing are now focused on the imagery and history of women and rowing prior to WWI. Thomas’s rowing-related affiliations include the American Friends of The River and Rowing Museum (President and director), Friends of Rowing History (founding member and director), Leander Club (life member), National Rowing Foundation (trustee), River and Rowing Museum (trustee), USRowing (life member) and Yale Crew Association. He is the author of Beauty and the Boats: Art and Artistry in Early British Rowing (2005), as well as numerous articles and book chapters. After 40 years of practice in several law firms, most recently Skadden Arps, and serving as General Counsel of WaterHealth International, Thomas is focused on pursuing rowing history projects, and following the doings of his sons in China, Japan and Turkey. I am writing a book about the Boat Building Radleys of the Lea in NE London covering a 130 years of history and anecdotes from 1840. The link is my blog re its future publication. Chris Dodd is providing advice and writing the forward. I forgot to say I am Clive Radley nephew of the last V Radley and sons boat builder Sid Radley who built a clinker sculler restored by ROWABLE CLASSICS. A picture of Sids sculler has appeared twice on this site. I would love to tell you more about this event. Would you possibly be interested in an interview to use on your – great! – blog? Hi! I am trying to find the name of the black and white (I think) documentary on Harvard Men’s Crew (1970s-80s) that was the first film of a later well known Director. Any leads would be very much appreciated at stevenaarmstrongsf@gmail.com. Thanks! Hello Steven ~ I promise to look into it! I would like to know of any videos/dvds and publications of the 1977 World Rowing Championships in Bosbaan Amsterdam. I was there rowing for my country at the time and as this time was pre-internet the best method of research seems to be word of mouth as there are few sources of information elsewhere. I think they are the finals. Have you ben sent my new book, “Hear the Boat Sing” ? Hello Nigel ~ yes, HTBS has received a review copy from the publisher. The copy went to one of my HTBS colleagues in London.